Try to be concise in your comments. If a piece has particularly sparked your interest, we would love to see how it affected you or relates to your own experience, but comments over 500 words tend to clog the Comments feed. If you feel like you have a lot to say, you might consider writing your own blog post in response or contacting the author directly with your input. Try not to over comment on a single post. As we said, Anthropology encourages the inclusion of multiple voices and we don’t want to see a single commenter dominate the conversation. This is an opportunity for exchange not soliloquy. No self-promotion. 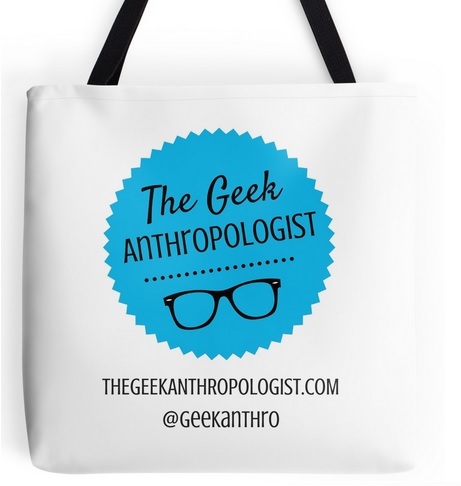 Though we want to encourage new connections and communities through our blog, The Geek Anthropologist should not be used as a platform to further your own publicity. If you have conducted research or a project that relates to a blog topic, you may reference your work, but do so in the spirit of intellectual inquiry and curiosity. Be respectful. If you take fault with a post or with someone else’s comment, try to frame any criticism in a constructive and polite way. You can do this by saying, “I understand what you’re saying, but the way I see it is….” or “I appreciate your perspective on the issue but in my experience I have found…” We want to cultivate a welcoming environment in which everyone feels comfortable contributing to the conversation. Stick to the point. While digressions can be useful in more freeform conversations, too many side-topics can distract from the central issues being discussed and confuse the flow of comments. Again, if a post strikes a related idea, consider writing a blog post or starting a separate comment thread on the topic. Though we want conversations to occur as organically as possible, we also have the right to read and approve any comments before they are officially posted. Conversations may be moderated to ensure that comments are not mean-spirited or inflammatory; we reserve the right to delete comments that do not follow the guidelines stipulated above. If you have any questions or suggestions of ways that we can improve the site and our service delivery, please feel free to contact us at thegeekanthropologist@gmail.com. Thanks so much for being a part of geek culture with us! You are great… So very informative. And a great sense of humor too! My point is I have always liked your views your sophistication and was reminded today on Reel Time..